A number of interesting UI changes occurred inside Office 365 in the recent past that caused discomfort to some people who don’t really like change. Cue a torrent of protest in places like the Office 365 IT Network, much to the amusement of those who run on-premises software who wondered why the cloud folks were getting all bent out of shape when the promise of evergreen software was being delivered in all its glory. 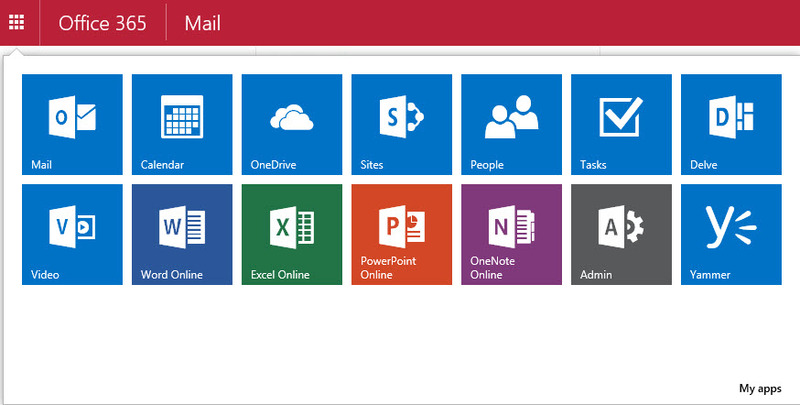 One of the changes was pretty trivial and involved changing “Outlook” for “Mail” in the Office 365 app launcher. As you can see below, the same familiar Outlook logo was retained, so only the text underneath changed. The other change occurred when a Groups notification icon showed up in the menu bar. 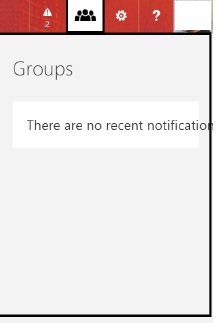 Apparently this is part of an effort to provide a common approach to notifications generated across Office 365 and will be used when Office 365 Groups support the social networking “like” feature, which is due soon. In any case, Microsoft quickly removed the offending icon, but not before many protests had been voiced. In some respects the folks making the protests are right. They are administrators or support personnel who help Office 365 users get the most out of the system and the appearance of new options or changes to well-known options are liable to cause users to worry and ask questions. Apart from anything else, no warning was given of these changes as they were not flagged in the Office 365 Roadmap. But here’s the thing. When you sign up for Office 365 – or any other cloud service – you accept whatever the cloud provider delivers in return for your monthly subscription. It’s different to when you exert total control over an on-premises environment and can say exactly how and when software is deployed. That’s fine; it’s your deployment and you manage the software, hardware, and network. But that’s not the case when you subscribe to a massive multi-tenant platform where things are run by the book (according to the cloud provider) and you don’t get to vote. In fact, your opinion is hardly ever asked or required. Losing control – or rather ceding control to the cloud provider – is just part of the journey that companies make when they move workload from on-premises to the cloud. Most of the time the loss of control is more than compensated by the extra functionality, good service, and economic advantages that can be gained from cloud platforms. This is especially true for small companies who essentially get to use IT systems that they would never be able to purchase for on-premises use. You can complain all you like when changes like this happen in a cloud system. Venting is good to a point but it won’t get you anywhere. Control is lost. You can’t and won’t be able to change it. It’s best to accept that this is the way things are and invest your energies in looking opportunities to extract more value from the cloud. Which brings me back to “Office 365 for Exchange Professionals“. We’re still on track to have a great book at Microsoft Ignite in the first week in May. The last few weeks have been “interesting” because lots of change has occurred inside Office 365, mostly around the introduction of the new Compliance Center, which is now showing up in some First Release tenants. The Compliance Center draws together aspects of compliance functionality that are scattered across the Office 365 applications such as retention, preservation, deletion, and search. Lots of good stuff there, but also lots to change in chapters to reflect the new functionality. And the rapid cadence of development is the joy of cloud services – or the despair, if you’re writing a book about the platform or supporting users. But we signed up for it, so we have no reason to complain. Do we? 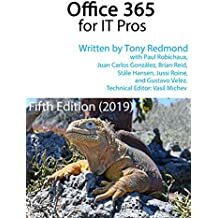 This entry was posted in Cloud, Office 365 and tagged Losing control, Office 365, Office 365 book, Office 365 for Exchange Professionals, Office 365 Groups, Roadmap. Bookmark the permalink.